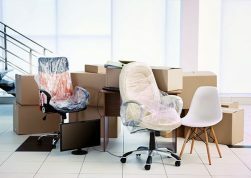 Making a Stress-free Move this Holiday Season - MoveStar Inc.
Moving is stressful any time of year, but it’s particularly so during the holidays when emotions can run high and time is a premium. A move can be both scary and exciting! Attitude is everything — choose to view it as an adventure, and keep your eye on the prize – getting settled in your new home for the New Year. If there’s no way to postpone it until after the first of the year, then go ahead and make your to-do list, check it twice, and get ready to roll up your sleeves. Start by securing your moving date with the moving company you trust. Do you want them to pack for you, or would you prefer to pack yourself? Do you need to temporarily store your possessions? Make a list of all of your furniture, household appliances, boxes and other large items before you make that call. Next, as you pack, set aside belongings you no longer need to donate or sell. Clearing out the old can be cathartic and will help give you a fresh start in your new home. Less stuff equals less to move and can save you money. Not only will you be lightening your load, you’ll be contributing to the spirit of the season by giving to those less fortunate. Prioritize your belongings as you pack. Choose which items you will need to access immediately, e.g. kitchen supplies, clothes and toiletries. You may even want to pack a suitcase for each member of the household to ensure you’ll have basic necessities at the ready for the first few days in your new home. Label each box with not only its general contents, but in which room it should end up. Pace yourself as you pack, and take time out to celebrate the season in simple ways, such as driving around town to see holiday lights or by going to a community tree-lighting ceremony. Children may have a particularly difficult time with the transition. Young ones may worry that Santa won’t find them at the new house, and older kids may struggle with leaving friends or starting a new grade mid-school year. They might feel like they are missing out on holiday fun, and these concerns are understandable. While you might not have time to deck out your whole house, honor a few of your most important family traditions in the new place. Listening to Christmas carols, hanging up stockings in lieu of putting up a tree and preparing a few favorite family recipes will help keep atmosphere light-heated and festive, even during the throws of packing or unpacking. Lean on your moving company to do the heavy lifting. MoveStar is a North Dallas moving and storage company owned and operated by off-duty firemen. We provide a wide range of services, from carefully packing your possessions to getting them where they need to be. 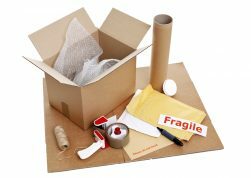 If you’d rather pack yourself, MoveStar offers boxes, crate rentals and packing materials for purchase. For a small fee, we’ll even save you time by dropping these items off at your door. Is it time to make your move! Call Movestar now at 972-716-9911 for your free consultation today.